Discover your email sending superpowers! 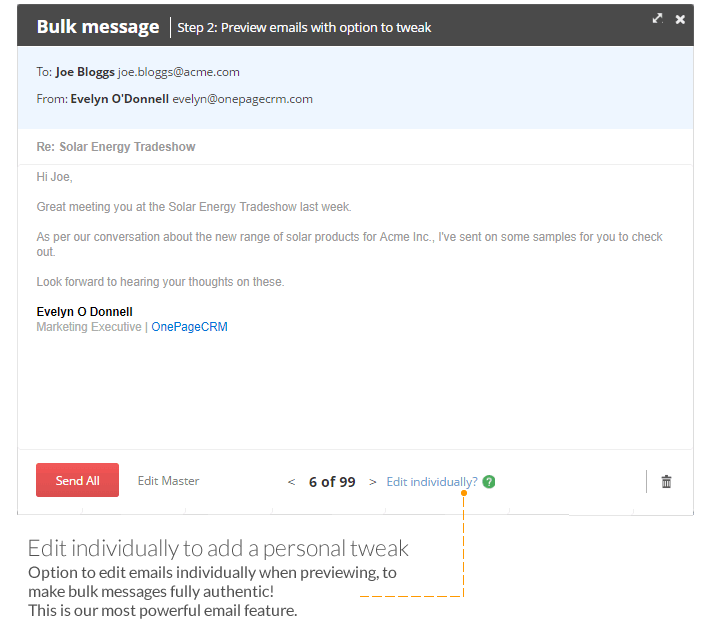 4) And powerful email personalization in bulk! Use our email send to quickly prepare and send an email to your contact. Email templates speed up your workflow and can be prepared for all common emails you send. 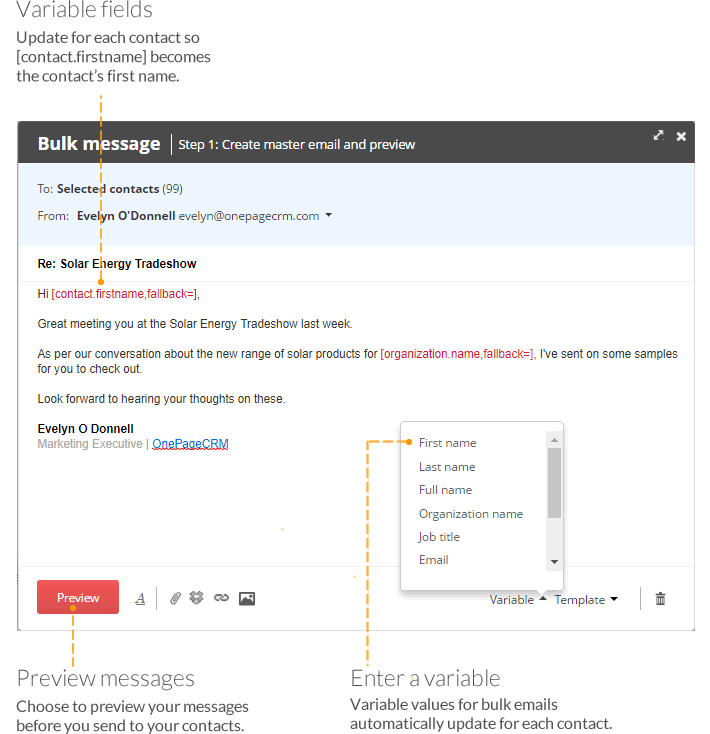 Select a template and use variable fields to quickly prepare your email for many contacts. Preview the message to be sent to individual contacts and choose to add a personal message. Need help getting this set up? How to set up email send? 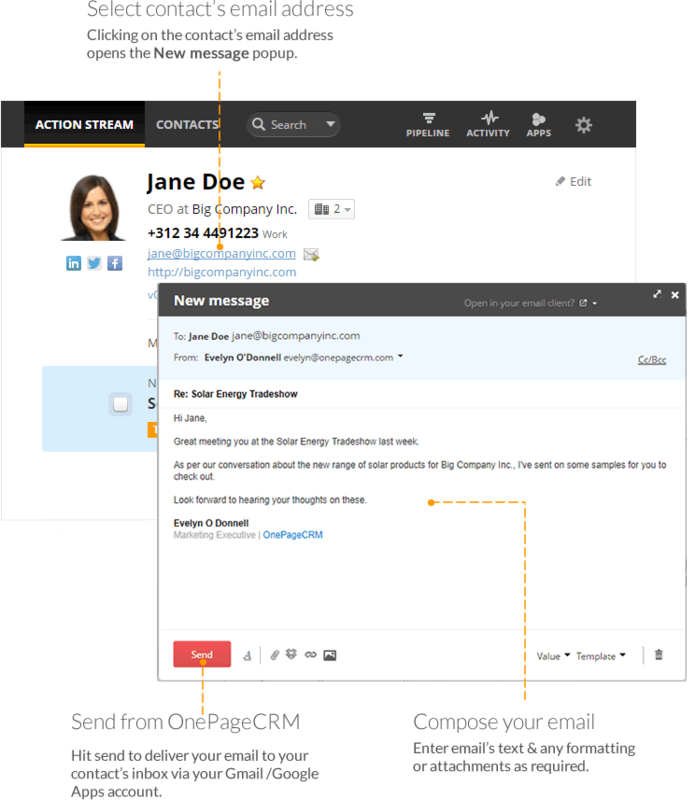 Learn more about setting up and sending emails from inside OnePageCRM. How to set up email templates? 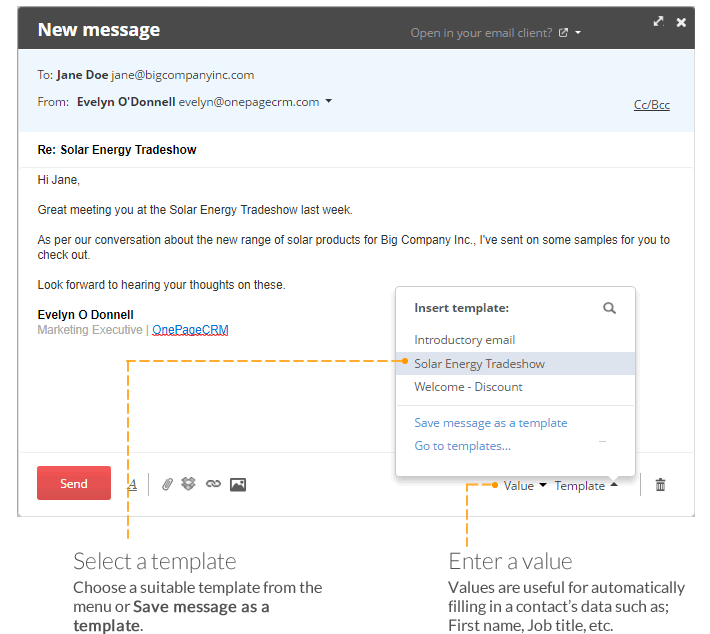 Create email templates and use these to quickly prepare and send emails. How to send emails in bulk? Learn how to select your contacts in bulk, prepare an email and send to them all in just a few clicks. For a step by step guide, check out our help article.